Less than 20 minutes from Gunstock Mountain, the Summit Resort offers spacious 2 bedroom suites and a variety of indoor amenities to help relax after a long day on the slopes. Enjoy skiing the closest major mountain to Boston and unwind in our large roman spa at night. Conveniently located, the Summit Resort is a great home base to explore winter fun in the Lakes Region. Your friends and family will enjoy the comforts of our large condo-style suites. With full kitchens and sleeping capacity for up to 6 guests, the Summit offers a great value for Gunstock Lodging at competitive prices. 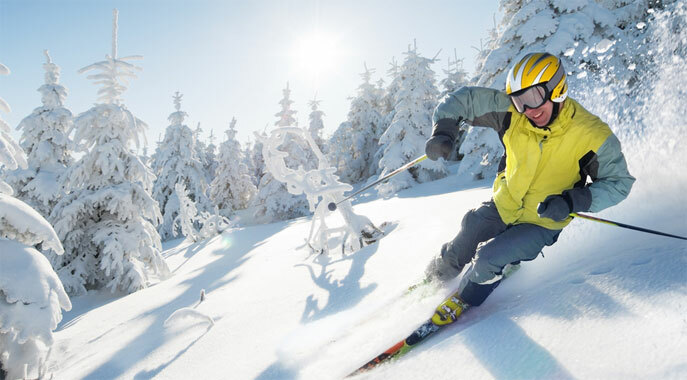 Check out our popular ski and stay packages for discounted deals that include Gunstock ski tickets. If you are searching for the perfect place to call home on your next ski getaway, then the Summit Resort is place to be. For more options on Gunstock lodging and ski and stay deals take a look at our sister resort, Steele Hill.